I have, as many of you know, faced my share of physical challenges over these past few years. I have had to face surgery twice, both requiring about a month-long recovery with physical discomfort. And I suffered from serious illness, also requiring hospital stays, pain medicine, IV, antibiotics and a longer than hoped for recovery. But I can tell you, with certainty, that these do not compare to the excruciating and debilitating pain I have felt when stepping on a Lego in the middle of the night. With my two boys, we have our fair share of Legos. These wonderful, imaginative, building toys are ever present in our house, and they make their way to lots of little place, under the cushions of the couch, under rugs, behind furniture, all over the car, and into the folds of the carpet. And during a late night excursion I have, on more than one occasion, stepped on a stray piece of Lego. And boy does that hurt. But I wouldn’t have it another way, for I love these toys. I played with Legos as a child, and watching my boys play with them is pure delight. I have been known to “help” as needed, but also take a few pieces myself on occasion and put them together. Over the years we have amassed many a Lego, from the tub of Legos we found for $5 at a garage sale, to different sets collected on birthdays and Hanukkah, and even the big set we got for Ozi the day we brought his brother home from the hospital to soften the blow. We have seen the Lego Movie, watched homemade stop animation on Youtube, viewed Lego TV shows. We have been to Lego activity centers, LegoLand in California and Lego conventions in Seattle and Portland. I even have, as a nod to my kids, a Lego compatible iPhone case. So these toys are ubiquitous in my life. And as with everything in my life, both chosen and unchosen, I see what surrounds me as a learning opportunity. And so, as we are here on this most auspicious night, the beginning of the new year, another opportunity for reflection and examination, I present to you, as I have in the past, a bit of lessons gleaned from my life. Whether it be having a child, hitting a car in a parking lot, a decade in the rabbinate, planting a garden, having brain surgery, that backhoe hitting my house, you have been with me as I have journeyed through these life learnings and lessons. So tonight, I offer you the 7 things I have learned about teshuvah, and life, from Legos. When we visited Legoland in California, one of the fascinating pieces of trivia I learned about Legos is that since the time that the first Lego brick was patented in 1958, every single Lego brick manufactured since will fit with that original design. In other words, if I pull out a brick made this year, and I take a brick made 60 years ago, they will fit together. So while over the course of its 6 decade history Lego has continually reinventing itself and adding new things, new themes, new colors, new sets and variations on its core design, every Lego today is compatible with what came before. As we gather here this evening, we are reminded that we are part of a long and rich Jewish tradition. Stories, texts, rituals, values all stretching back centuries, millennia. And we are also mindful sitting here today that the Judaism we practice must look very different than it did in the past. There is a wonderful story in the Talmud, the ancient work of commentary, law and lore, which imagines Moses sitting with God on the top of Mount Sinai as God is writing out the Torah. The Torah tells of Moses’s ascent to the top of the mountain to receive the Torah and God writing out the laws, but this story imagines what that must have been like since the Torah is light on detail. 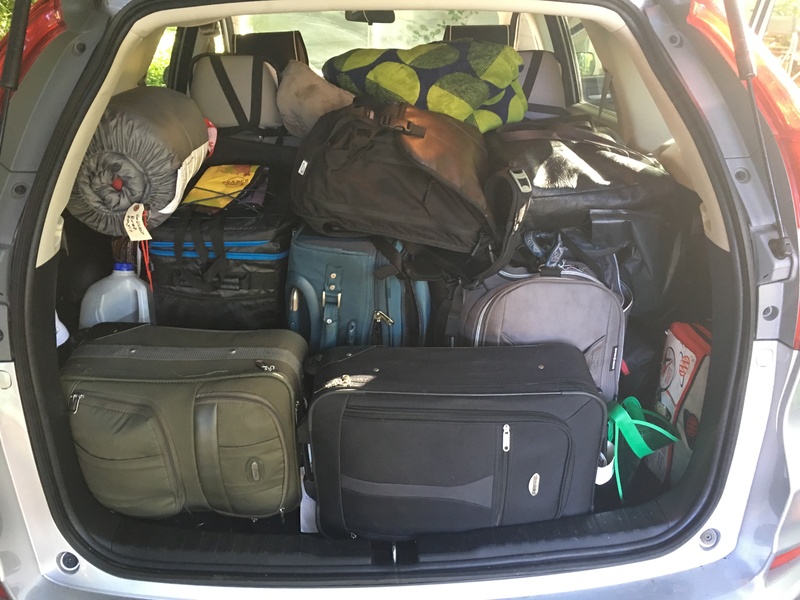 This story is a classic midrash—a “filling in the gaps”—in the Torah narrative. And Rabbi Akiva answered, “It was given to Moses on Mount Sinai.” And with that, Moses understood and turned back around. 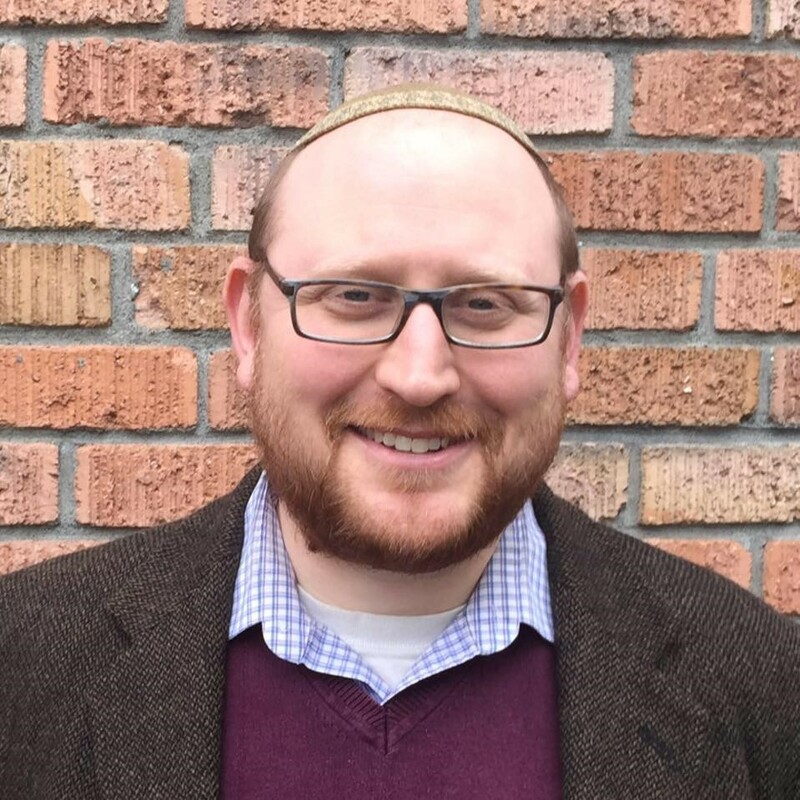 Rabbi Akiva is one of the leading figures of the Talmud, and the authors of this story are making a connection between the work that they do, and the Torah, by imagining Moses at the beginning of a long chain of tradition that they are the inheritors of. And now we can imagine Rabbi Akiva in the back of our sanctuary, completely baffled by what is going on, until something reminds him that he is also at the beginning of a chain of tradition. Where we are in our tradition may seem so far afield from what came before. While it might seem different, and it is, it is 100 percent compatible with what came before. We—you, me—are all the next link in a very long chain. And we fit. There is a great sound that I don’t think I can replicate, but if you know it, you can imagine it. It’s the sound of sorting through a big bin of Legos. Can you hear it? Imagine a big bin of Legos. A big jumble of so many pieces of different sizes and colors. Some basic blocks in their various lengths, some specialty pieces: a chair, a steering wheel, a window. All a mix of various sets from the past and random pieces. Then that sound. I hear that sound often as the boys play with Legos. When digging through that big bin, sometimes you have an idea of what piece you need. And sometimes you don’t know what you are looking for, you are just browsing, and maybe a piece strikes your fancy and you get an idea. Or maybe both, in the process of looking for a particular piece you find another one, and the car you were building becomes an airplane. That is the joy and the magic of the bin of legos—it holds promise, opportunity, creativity. And when you open it up you don’t know what you will find. Think of your Judaism is a big bin of Legos, full of all of these little pieces. A teaching here, a ritual there, a memory there, a food here. It’s all there, waiting for you to dig through. Maybe you need something specific, or maybe you don’t know what you need. Or maybe you look to Judaism for something specific and come up with something else. The point is there is so much there to discover. And it doesn’t matter if you look through your bin every day searching for something. Or if the bin has sat in your closet for 50 years and you are just taking it out now. Or you are new to using Legos. It doesn’t matter. What does matter is that you opened the lid and looked through. You might not know what you need, but do know that all the pieces are there waiting for you to be discovered for you to build them into something that is meaningful, special, unique. All you need is open the bin, stick in your hand, and sift through. You will come up with something. That’s why that sound is so sweet. While we do have big bins of Legos, we also indulge in specialty sets. These sets come with carefully crafted instructions as to how to build the complicated projects. Erez insists with each new Lego set that we save the box it came in. And I will admit, I think the packaging of Lego is great. Vivid recreated scenes of the set inside, a clear indication of how many pieces are contained within, the age range made explicit, always a source of pride for when Erez is gifted a set for which he is technically too young, yet is able to finish. And a clear indication of which minifigs—or “Lego guys”—are contained within. The instructions and the box provides a reference, a guide, and a clear vision about what things will look like once completed. The instructions provide specific steps to build, and the box provides an overall picture of how things will come together. We are rooted in the instructions, in the box, the guide. We are the people of the instruction book. Our tradition is defined by sacred text. There is so much wisdom contained within the words of our long train of textual tradition. Every generation reads and interprets text, learning is a paramount value. Each Shabbat morning here we investigate a different text and it couldn’t be more rich—Torah, mussar, Talmud, contemporary spirituality. Currently I am engaged in a new study program, the Clergy Leadership Program of the Institute for Jewish Spirituality, and I have been, really for the first time in my life, studying, closely and deeply texts from the Hasidic tradition. Both on retreat and in a weekly hevruta I am examining a new aspect of our tradition, and I am continually surprised and amazed by what I find. So if your rabbi can learn something new, you can learn something new. There is always something to discover in our tradition, in our sacred texts. Commit yourself to a new course of learning this year. Discover something new. See what surprises you. There is no such thing as knowing enough, and there is no such thing as not knowing enough to begin. See what the instruction book says to you this year. One of the events we try to get to every year is BrickCon—a gathering that happens every year at the Seattle Center in October. BrickCon is a gathering for adult hobbyists, and while the attendees meet in private workshops and gatherings for some of the time, over the weekend the exhibit hall is open to the public to view what people have built. The expo hall at Seattle Center is filled with creations, both large and small in a wide variety of categories: space, medieval, contemporary scenes. A Space Needle that towers over everyone, a city with working trains, large Lord of the Rings-type battles, space stations, a Lady Gaga concert complete with sounds and music. Also, this past summer when Erez and I went to NY we visited a Lego center in Westchester complete with a permanent display of New York landmarks including, and this is true, a model of MetLife stadium complete with the Seahawks beating the Broncos in the Superbowl. None of these creations had instruction books. None of these were pre-packaged sets. They were planned, designed and built with only the use of imagination and patience. And while we may not want to design large-scale creations, we can take the Legos that we are given—even ones that are originally part of a specific set—and create our own awesome thing. We have been given the instruction book containing the values and mitzvot, sacred practices, which are meant to guide our lives. But we also meet Torah where it is based on where we are, and enter into a dialogue about how we can make meaning with what the tradition gives us. We have the instructions and the vision of how things could be. But we also have the ability to modify, to make variations with the same set of pieces (or practices) we have been given. As Rabbi Mordecai Kaplan, the founder of Reconstructionist Judaism, taught, “the past has a vote, but not a veto.” Tradition informs us, but so do we inform tradition. And while we may play around with different practices which we may connect to, it is our minhag (custom) here to examine and study together different practices and how we may observe and honor them as a congregation. One of the foundational practices of Judaism is Shabbat. The idea of a day of rest, a day set aside to renew ourselves, to reset ourselves, to dial it back if just for a short time, is fundamental to Jewish practice and observance. It is one of the 10 commandments. We rest in remembrance of creation, when God rested, and we rest in remembrance of the story of the Exodus, when we were slaves in Egypt, and didn’t have a chance to rest. Shabbat reminds us of the need to take a break, which is increasingly difficult in our hyper-connected 24/7 world. Shabbat is a day of justice, and reminds us of those who are unable to achieve such a day. But how do we do it? We have been given a vision of a traditional observance of Shabbat. How do we engage with this. Is this our vision of what Shabbat is or could be, or do we have a different idea of what it means to not work/rest? I invite you to engage with this question—what does Shabbat mean for you? And how do you observe it? It is a question we are going to engage with this year as a congregation, through a series of hosted and facilitated community conversations: What does Shabbat mean to us, and especially how do we want to observe and honor Shabbat in our community. We will study, we will practice, we will debate (I’m sure), but we will do so with an eye towards making this fundamental aspect of Jewish practice meaningful in our lives. As I mentioned that part of our Lego fandom in our house is travelling to a variety of Lego-themed attractions and events. And many of these provide opportunities for free play. It seems, based on my very crude anthropological observation of Lego conventions, that when you have a seemingly unlimited number of Lego bricks at your disposal, there is a strong desire and inclination to build a tower. More specifically, the biggest tower one can build. Of course as any engineer will explain, you can not build tall without a solid foundation. The same is true for Legos, without a solid base, the entire tower will quickly become unstable. We think of what we build, and the need for a solid foundation here. What we are building, altogether, is community, connection. We are building a vibrant Jewish life so that individuals will find meaning, children can be educated, we can explore ideas and culture, see films, read books, eat, play ball, study Torah, pray, sing. And in order to build this, we need a foundation. 75 years ago our forebears took a leap and established a Jewish congregation and built a building to call home. A decade ago we, their inheritors, took an incredible leap, buying and renovating the building that serves and will serve as the central Jewish address in the South Sound for years to come. It was quite a journey and an undertaking for us. And the time has come to shore up that project, by making sure we can continue to maintain what we have. We know that we are more than the bricks and mortar that house us. But we also know how important it is to have a central gathering place to sing together, pray together, laugh together, learn together, cry together and eat together. This valuable asset maintains our attention so that it will be here for us and for the generations that come after. Our building is modest by comparison as some other places perhaps, but still requires a large amount of care. So we continue to build out—the foundation—of the tower of spiritual life. You will be hearing soon more about our “Building Strength” campaign—a capital campaign to create an endowment that will make sure this building is cared for into the next several decades. A campaign that will result in stability, sustainability and security for our community. Instructions are consulted, or original vision modified as sometimes needs to happen, and pieces are reattached. It is fixed. While life does not come with instructions, we do make plans, we have ideas as to the way things will work out. And we know that they don’t always work out the way we want. Some of these challenges are beyond our control, and we accept them, often with difficulty. And there are breaks that are within our control. We can work at repairing our relationships. We can try new habits and lose old ones. We can break the cycle of toxic behaviors which hold us back. We did someone wrong, we can apologize. Someone did us wrong, we can forgive. This is our power to fix it. This is the essence of teshuvah, why we are all here now. That we have the ability to fix that which is broken. And yes, there will be screams, maybe tears, anger, frustration and venting. Maybe a swear word or two. That is ok. But then we pause, we contemplate, and admit to ourselves that we can fix it. But not only that we can, but that we must. Legos have gotten quite fancy than when I was a kid. I remember when it was just a big box of different size pieces. And then themes began to emerge: space, city, and different kits would come with specific instructions as to how to make them. Now, that has become the norm, and even more specific—the sets are meant to resemble almost exactly a building that exists in life or in the movies. The space Legos I had made generic space ships, now you have Star Wars Legos which recreate scenes from the movies. But were they? 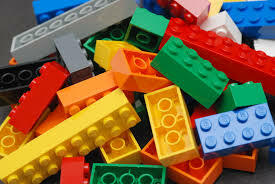 One might say that the Lego past was better, because then there were no fancy sets with specific results, only crude pieces that one would use to build anything one wanted, according to the dictates of one’s imaginations. But the thing is, that is still true. Yes there are fancy pieces and elaborate sets. But that still does not mean that we can’t build what we want. This is one of our challenges, we tend to idealize the past. We think the past was better, or simpler, or easier than where we are now. But that kind of thinking holds us back. Especially around our work of teshuvah. We get stuck and say, if only I didn’t make that decision, or if only I didn’t do that, I wouldn’t be where I am now. But guess what? You did make that decision. You did do that. And where are you right now? Here. You are here. In this room. Tonight. Every single one of your decisions led you to this room tonight. I don’t care if you come to services every year or this is your first time. You are here now. And that is what matters. So, listen. I will tell you now as your rabbi that every single choice you have made was the right choice. How do I know? Because it was your choice. And you have the strength and determination to live with it. Because it made up part of the story of who you are and because it brought you here. We are gathered here tonight and over the course of these High Holidays to declare, as we do each year, we have made our choices, and we will live with them. And we will commit to make more choices in the future. Some better, some the same, and some the result of which we have no way of knowing. Some we will actively choose. Some choices will be made for us. We have the power to choose, we have the power to change, and we have the strength to confront the inevitable. Yes, we look to the past, but we don’t live there. We are right now the sum total of the choices made and paths taken or not taken, and reliving them is not going to change where we are. What will change, what can change, is what we do next. So there it is. You have in front of you a big bin of Legos. Find your brick. And together, creatively and carefully, let’s build.